America Scores LA uses soccer, poetry, and service learning to inspire underserved children to lead healthy lives, be engaged students, and have the courage and confidence to make a difference in the world. The “Writing for the Community” project teaches students that writing is power. Teams use their writing skills to spearhead projects that illustrate the ability that kids have to become agents of change in their communities. Poetry serves as a positive outlet for students to express complex emotions and provides a medium for personal growth through creative expression. Our innovative curricula allows students to develop as writers and is a proven learning tool for improved aptitude in reading, writing, spelling, and grammar. 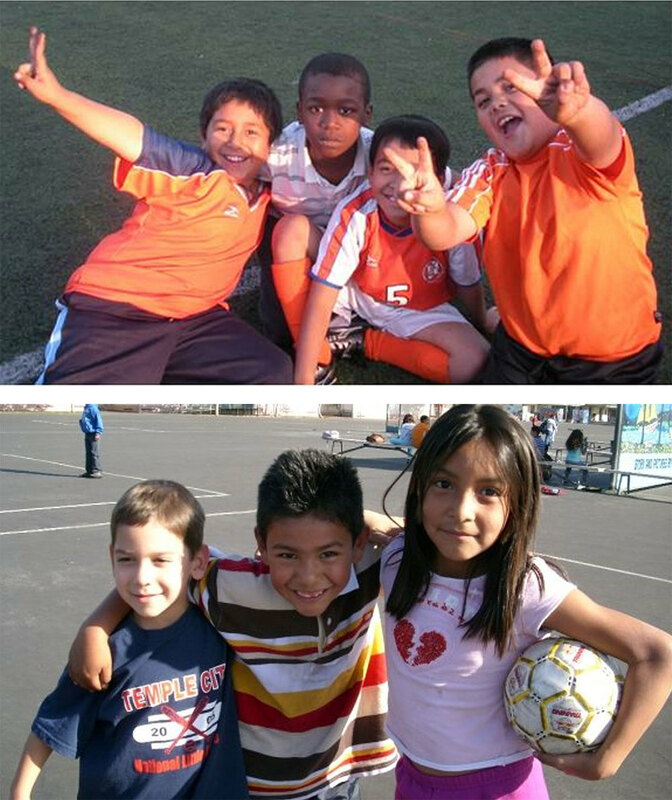 America SCORES la uses soccer as a means to foster teamwork, promote healthy lifestyles, and build self-confidence. The values taught on the field extend into the children’s lives and allow them to grow on and off the field as they develop into future community leaders. America SCORES LA (ASLA) serves more than 350 students in collaboration with Charnock Road Elementary School, Braddock Drive Elementary, Palms Elementary School, and Palms Middle School of the LA Unified School District. The community of Palms has a population density of 21,870 people per square mile, ranking 9th in the entire county ahead of Watts, East LA, and Boyle Heights. America SCORES LA students attend 9 more days of school per year compared to their peers not enrolled in our after-school program. 66% of America SCORES LA students are proficient in Language Arts compared to 50.8% for students not in ASLA. ASLA students also score higher in both English and Math than non-participants. Students in America SCORES LA will receive over 200 hours of direct homework tutoring each year. America SCORES LA poets have been published in The Los Angeles Times and performed at the National Poetry Slam in NYC and Festival of Books in LA. Over 200 additional youth have received soccer training as a result of the Alumni coaching Team. America SCORES LA students participate in more than 200 hours of organized physical activity each year. © America SCORES LA. All rights reserved.